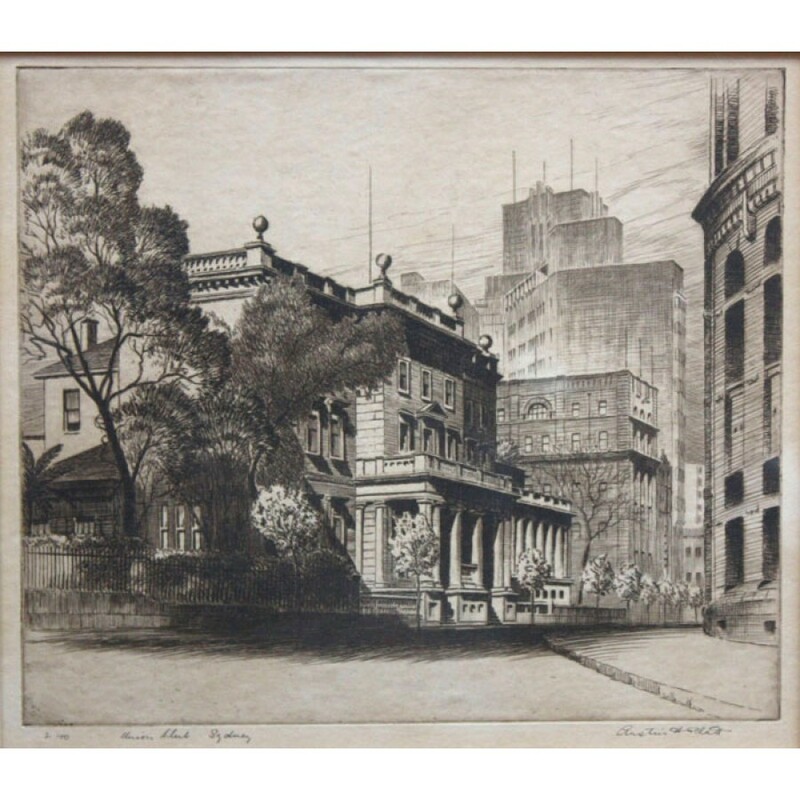 Australian early 20th century etching by Austin Platt. Editioned (2/100), signed and titled in pencil below the image by the artist. 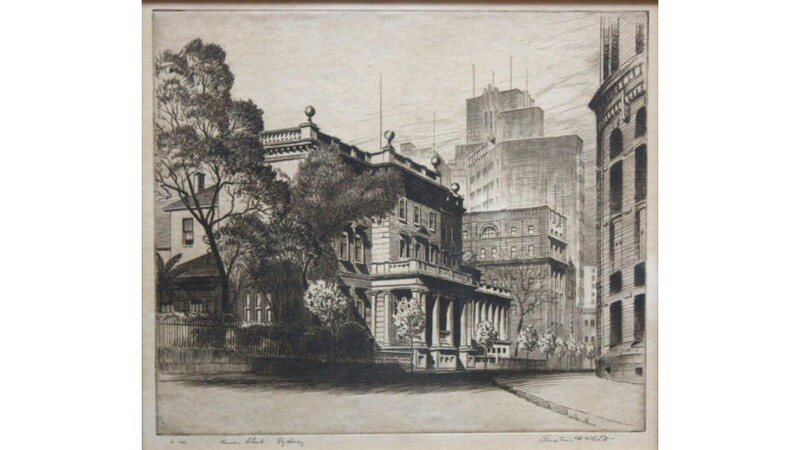 Sydney's Union Club was founded in 1857 by men from The Australian Club. The Union Club, originally located at 2 Bligh Street, Sydney, was designed by William Wardell in 1884 in the Classical Revival style. The site is now occupied by the Sofitel Wentworth Hotel. In 2007, the Union Club and the University & Schools Club merged. Austin Platt was an Australian printmaker. He began his apprenticeship as an artist at the age of 20, when he worked and studied commercial art at Cedric Emanuel's studio in Sydney. Platt also studied at the Sydney Art School, the Royal Art Society, Maud Sherwood's Sketch Club and at East Sydney Technical College. 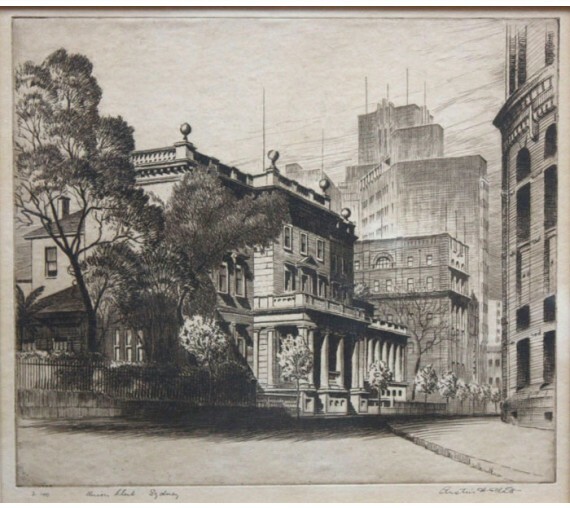 He etched many Australian buildings, esp schools after the Collegiate Etching and Fine Arts Studio began to sell etchings of schools. Framed in simple black frame.